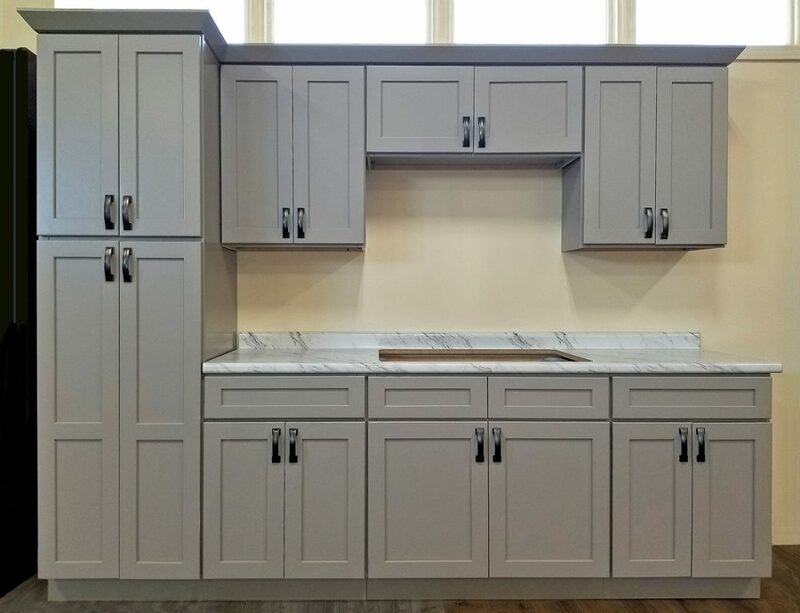 You’re ready to start creating your dream kitchen. But where to begin? Try our kitchen measuring guide as a start, but then come to Builders Surplus to speak with a kitchen designer. 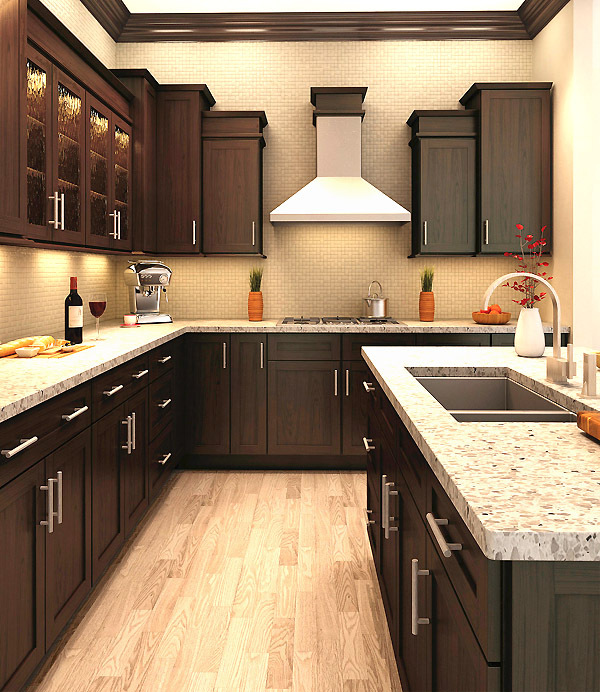 Using the latest in computer kitchen design, they will help you to create the kitchen you’ve been waiting for. We’ve included a few kitchen photos here, but there’s many more in our kitchen collections. Step 1: Be prepared. Come in with ideas, pictures and dimensions to give to your designer. In addition, create a folder with what you might want in your kitchen (include cabinet style, counter-top, colors, flooring, etc.). Step 2: Appliances. What do you want in your kitchen? Oven, refrigerator, microwave, dishwasher… This will help a designer to create your kitchen. Most appliances come in standard sizes, but it’s best to know the exact size of each to fit the given space. Step 3: Using our kitchen measuring guide, take accurate measurements of your kitchen. Bring photos of areas in your kitchen which may be difficult to explain. Step 4: Make an appointment. 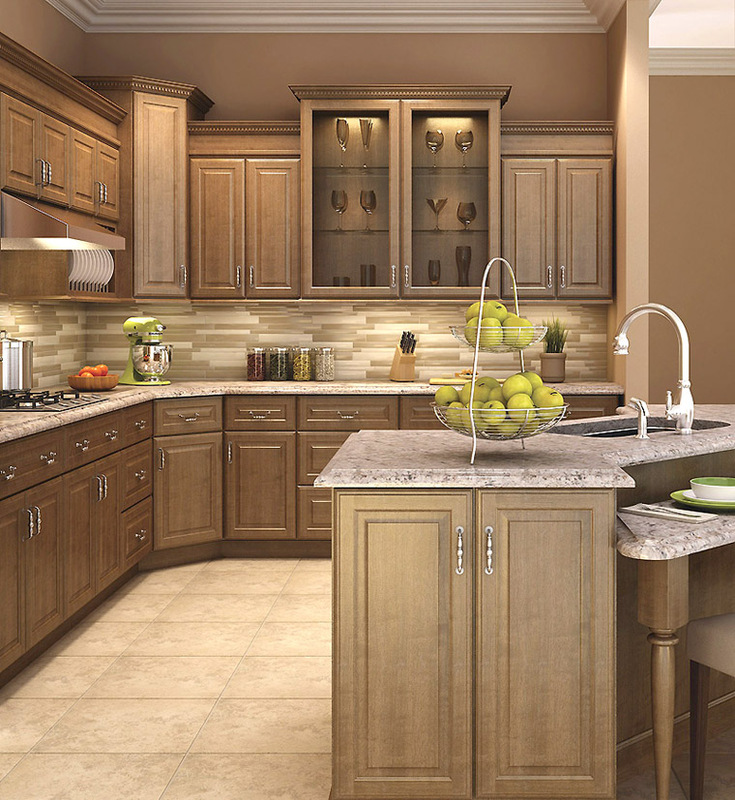 Updating a kitchen is a big project, so set a time that’s best to discuss your ideas in full. Also, be sure to bring measurements and your creative folder. Step 5: At your appointment, the kitchen designer will provide a 3-dimensional drawing of how your kitchen will appear when finished. This will show how your cabinets will be laid out and where appliances will be placed. This should alleviate problems when installing the cabinets. 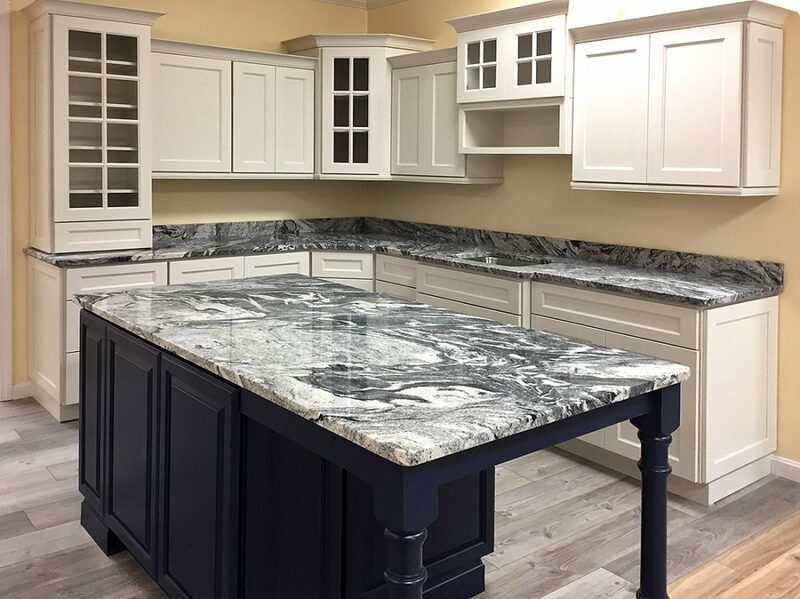 Your kitchen designer will ask you questions about the type of cabinets you want, accessories (trash pull-out, roll-out trays…), crown molding, under cabinet light fixtures, etc. Most of all, share your thoughts and ideas with your designer. Step 6: Hardware and countertops. 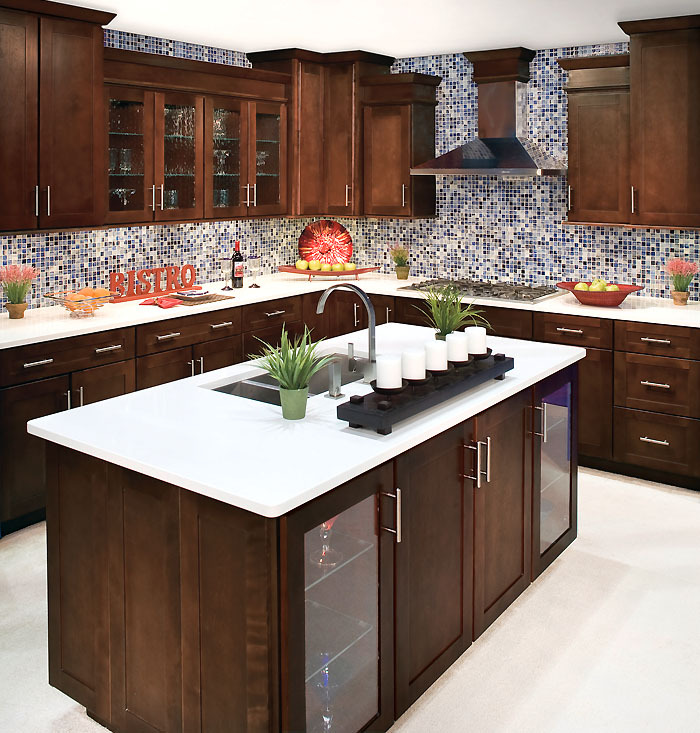 Consider the wide selection of cabinet hardware and countertops. 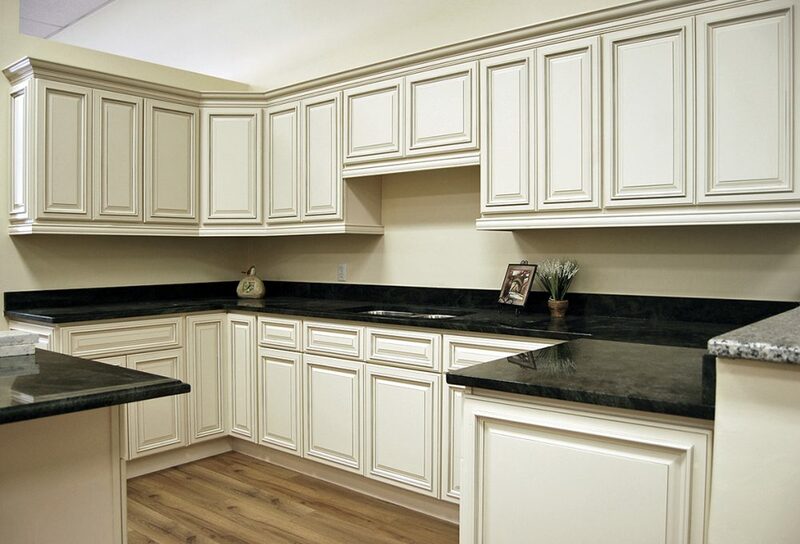 What works well with your cabinets? 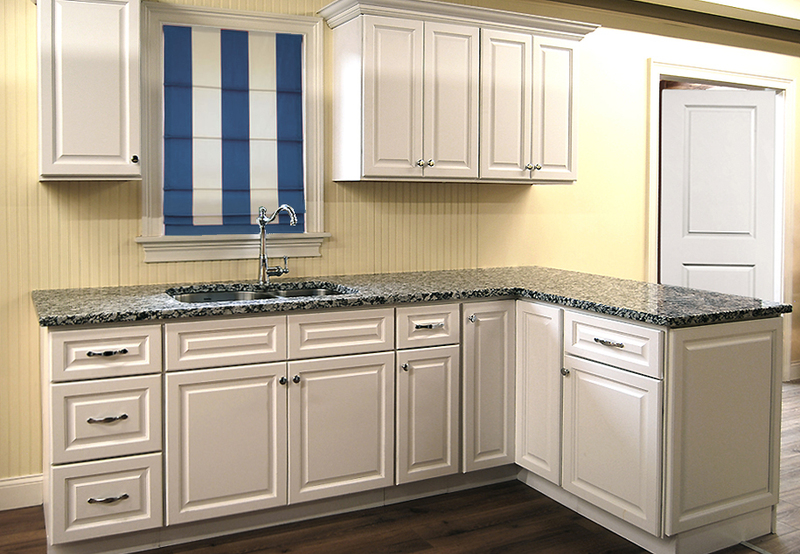 Then select a granite, laminate or quartz countertop in a contrasting or complimentary color. Step 7: The estimate. After your appointment is finished, the designer will gather your information and prepare an estimate. You will be contacted to return and review the estimate, all measurements, and expenditures. 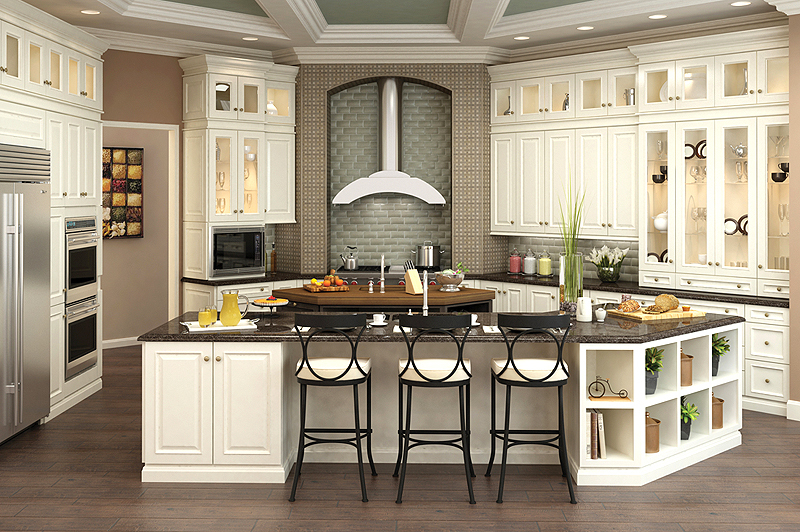 If necessary, discuss any changes you’d like to make in your kitchen design. Your designer will then reprice your estimate and give you the final cost. You’re now on your way to having the kitchen you’ve always wanted! To read our blogs, click here.